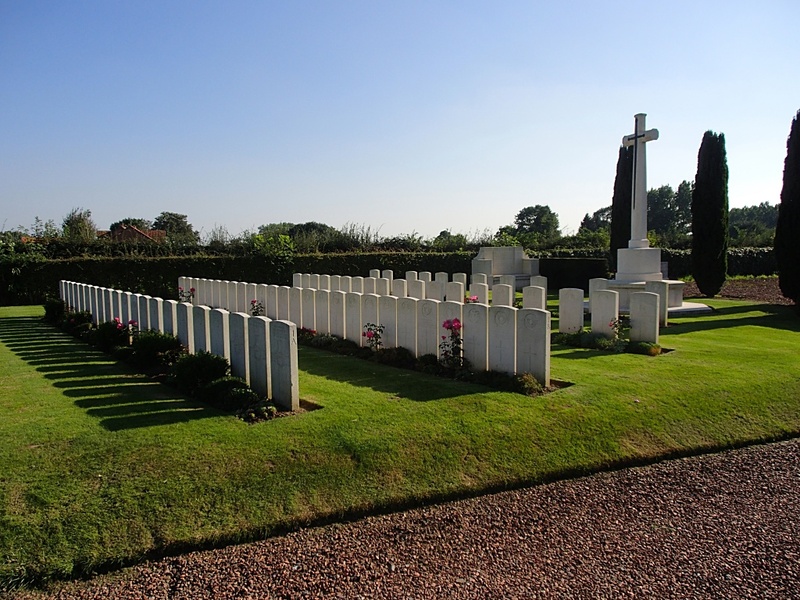 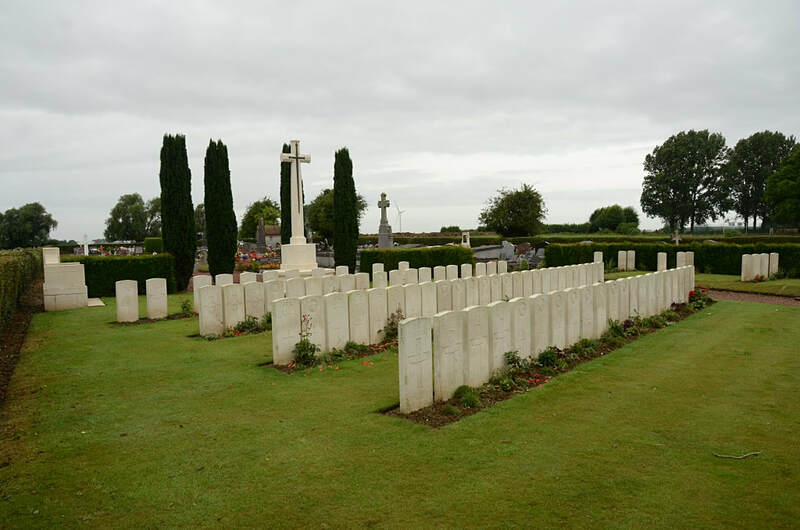 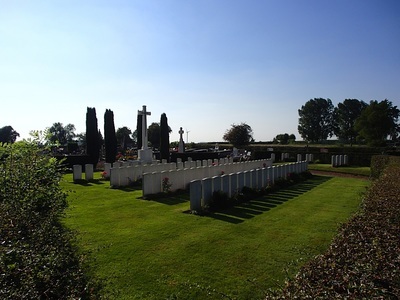 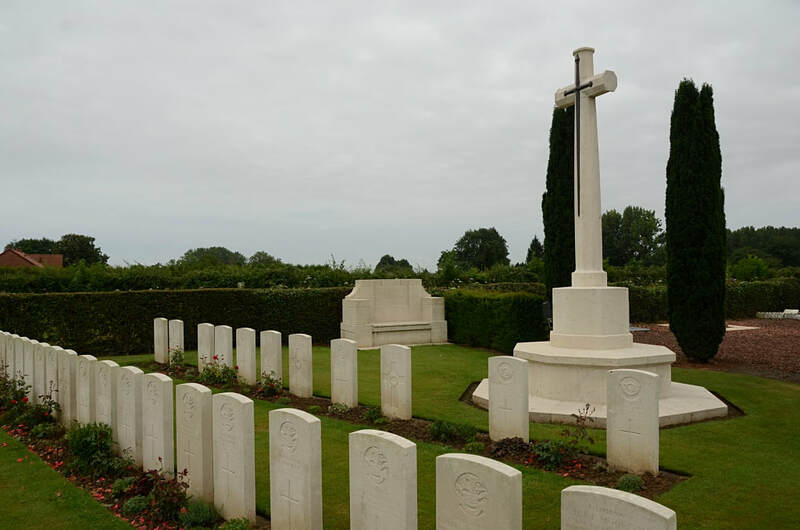 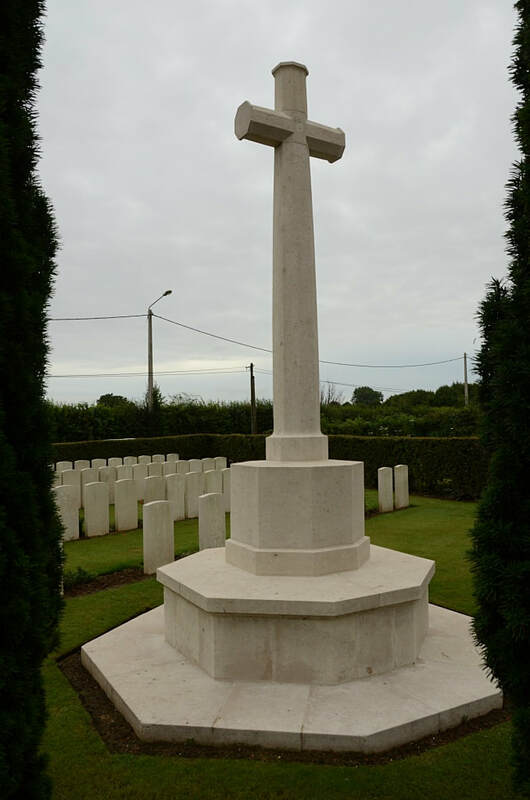 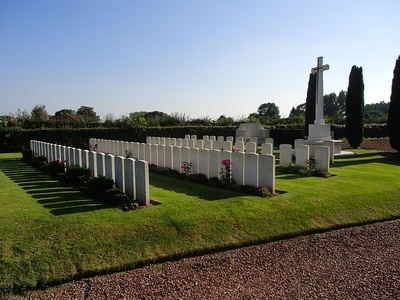 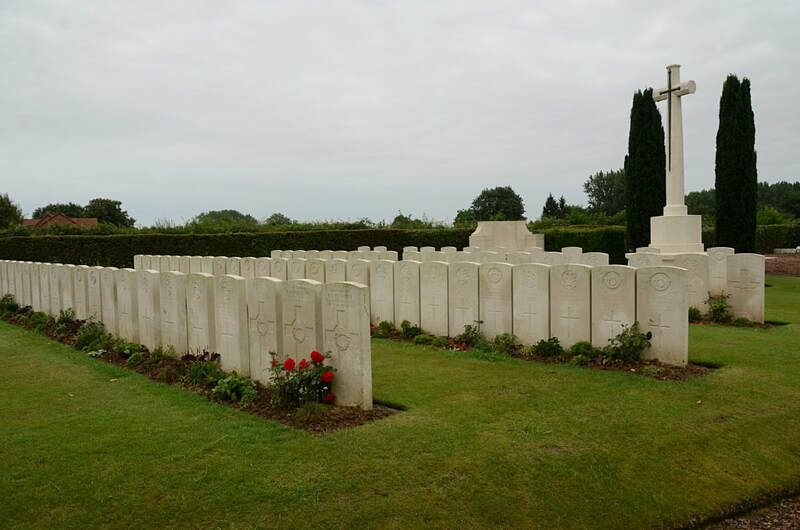 Ruesnes is a village approximately 4 kilometres north-west of Le Quesnoy, Ruesnes Communal Cemetery lies to the north-west of the village on the road to Sepmeries. 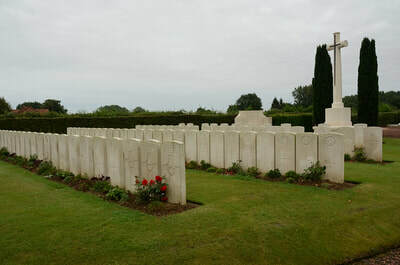 Ruesnes was occupied by the 3rd Division on the 24th October, 1918. 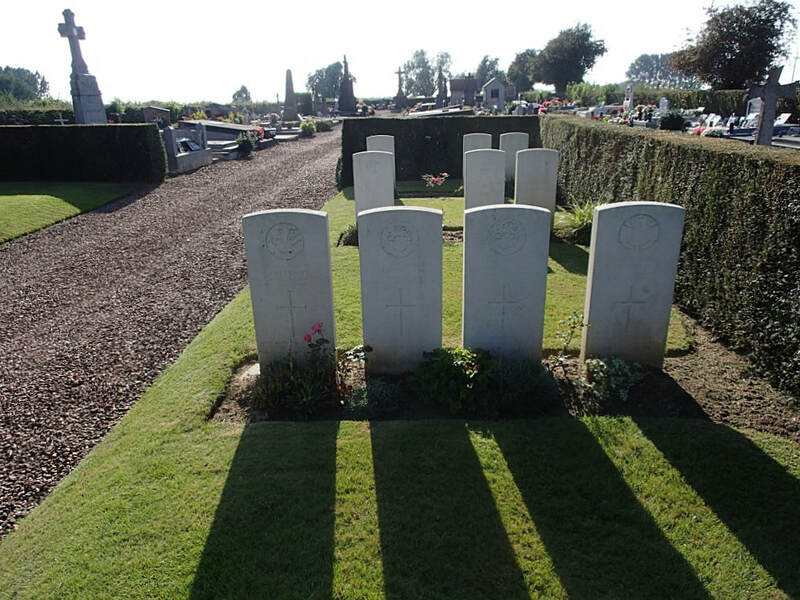 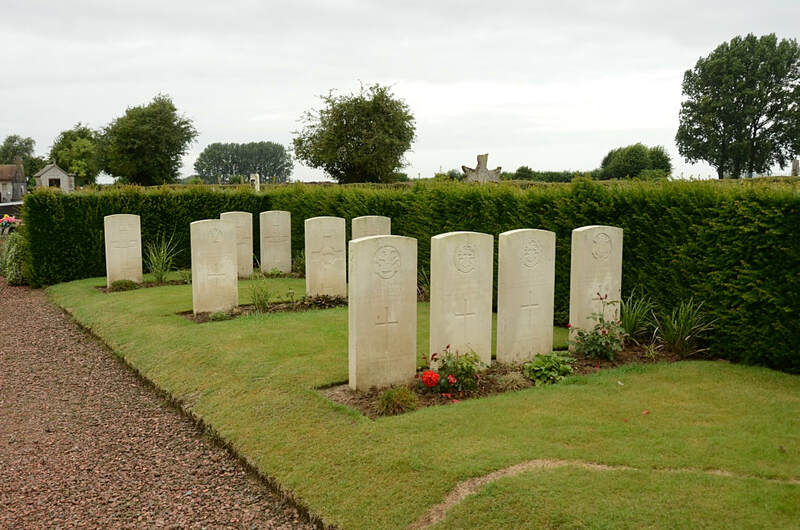 The Commonwealth plots were made by the 62nd (West Riding) Division, and contain the graves of soldiers who fell in November, 1918. There are now over 80, 1914-18 war casualties commemorated in this site. 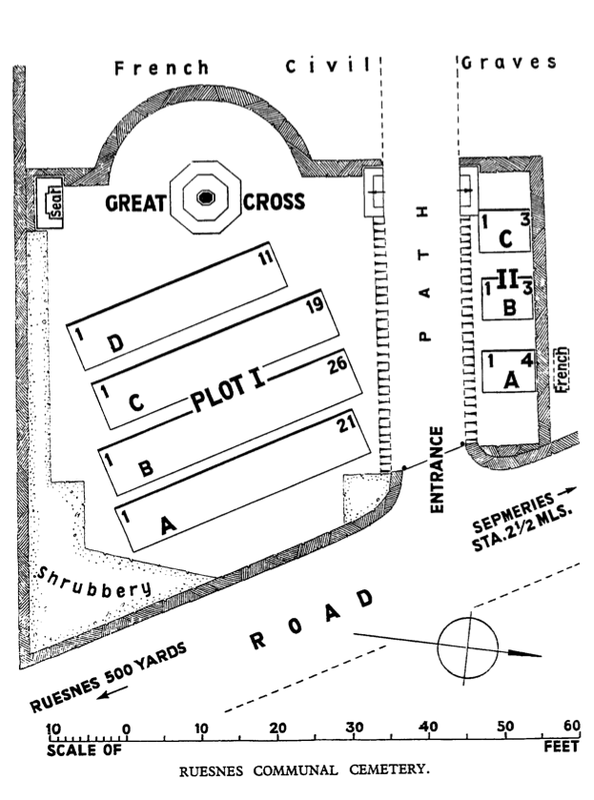 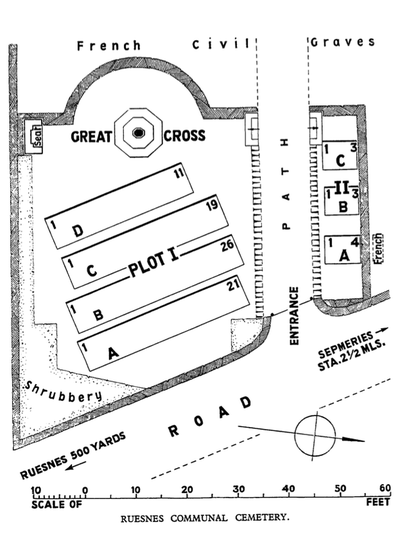 The plots cover an area of 378 square metres. Casualty Details: UK 78, New Zealand 9, Total Burials: 87.